Here is our short guide the main features and average prices of each type of replacement window. 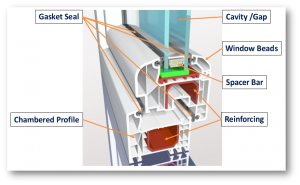 You may wonder why use UPVC instead of Aluminum or Wood? Well, there are a few good reasons. To start with, UPVC has a price advantage over both Aluminum and Hardwood windows. You can find many examples of cheap UPVC windows all over the UK. They don’t need a lot of looking after, they last a long time and are readily available all over the UK. UPVC does not shrink or expand in the same way as timber or metal, therefore your windows should always fit perfectly and not stick or jam during very cold, or very hot weather. It would probably be fair to say that UPVC Casement windows are one of the most often fitted type of new or replacement window designs. The casement itself is the moving part of the window (that opens & closes) and can be fitted to open from the side, top (awning) or bottom (hopper). The outer frames are made from “profiles” which are chambered (like a honeycomb) to aid insulation and improve stability. These profiles can also feature galvanized metal inserts to improve structural strength, which is important for wider windows to stop the frames from flexing & bowing. If you look at the cutaway image on the left, you will see the chambers and the internal metal inserts. Flush fitting casements are becoming quite popular, these days and, in our opinion, give the whole installation a much sleeker and modern look. Colored options are available, with around 15 to 20 finishes, including wood-grain effect surfaces. Quite a common sight in older homes, the Sash window, sometimes also known as a Box-sash, is very different in both look and operation to the Casement style. The window is basically in 2 vertical halves. To open the window, you have to slide them vertically. Single hung Sashes have only the top half moving. Double hung sashes will allow the movement of both halves, the bottom section being raised to open. If you partly open both the top & bottom sections at the same time, it allows for good air circulation. The glazed sections can be plain, or as in many cases, feature Georgian bars. Georgian bars make the window look as if it’s made up of a number of smaller panes. Older timber versions of Sash windows have had issues with the windows becoming loose within the frame. The moving parts travel on tracks and weights secured to ropes that attach to the side of the moving frame counter-balance the weight of the frame. In older wooden Sash windows, these ropes become frayed or stick and the tracks become worn. Modern UPVC Sash windows can also use guide ropes and weights, but an alternative is to use tensioned springs instead. Using springs allows for a slimmer frame profile. As UPVC does not absorb water, there is no swelling or shrinkage due to wet or dry weather, so the frames don’t warp or get stuck. 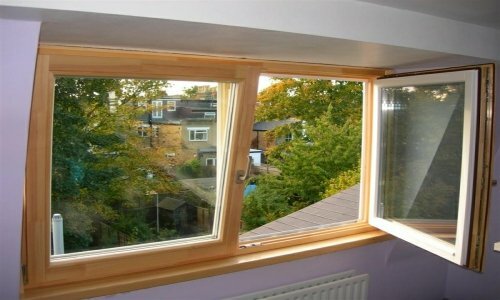 3 UPVC Tilt & Turn Window Designs. 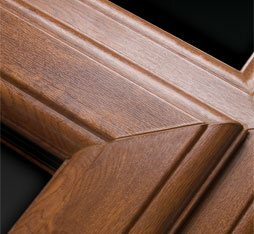 Despite being around for decades, the Tilt & Turn window is still not a commonly seen as Casement or Sash. However, they are unique and particularly functional. Basically a variation on a Casement window design, the Tilt & Turn window has the ability to open like a regular casement window. The opening action is inwards, however it can both open from the side or “lean” backwards from the top. Hence the name Tilt & Turn. 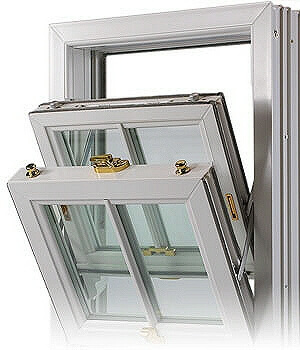 To operate as a regular window, you would turn the handle in one direction and to operate the tilt function, you would turn the handle in a different direction. Larger versions are also often used as patio doors. The only drawback with this design is that the frames open inwards. This means the tilt function can interfere with curtains or blinds. It also means you need to have a clear area inside the home to allow for the opening arc of the turn function. How much do UPVC Replacement Windows Cost? As you would expect, the cost of new UPVC Casement windows will be dependent on specification, size and/or styling features. For example, you can choose to select a colored or woodgrain finish which will add to the cost. The energy rating of the unit will also be a pricing factor, A++ rated windows are likely to cost more than B rated windows and so on. So please bear this in mind when looking at the guide prices below. To directly compare UPVC replacement windows prices, the “headline” cost of casement windows is most likely going to be the lowest. 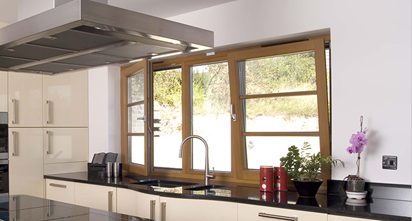 Sash Windows or Tilt & Turn windows are costlier than casement simply because they are more complex to manufacture. 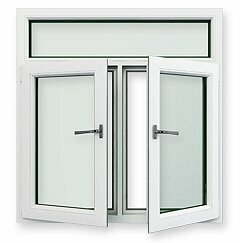 You could go “mimimal” and check out secondary double glazing options.